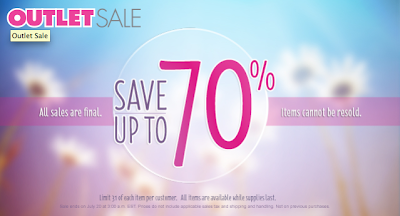 HURRY: 70% Off Clearance at Thirty-One Bags! Oh my, if you have discovered the wonderfulness of Thirty-One bags . . . or if you haven't . . . you need to go to Thirty-One bags RIGHT NOW and grab up some of their 70% off clearance. There are literally some prices under $5!! And a great thing about this sale is that Thirty-One is donating one item to the Toy Drive for Kids for each item purchased from the Outlet sale through tomorrow, July 19. But from what I saw, there may not be anything left long before then!